​How To Choose The Best Motorcycle Battery? 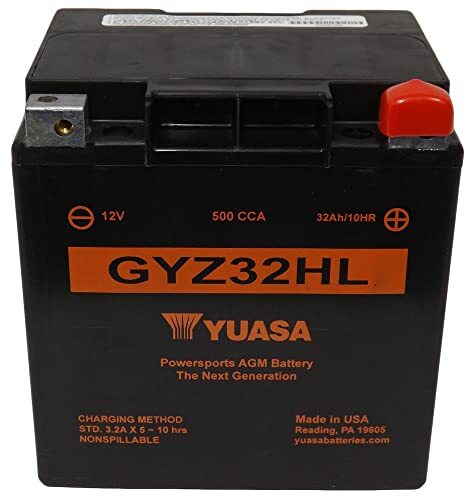 ​There are various things and factors that may help you choose the best motorcycle battery in an easy way, for your help following are a few steps to make sure you will get the best battery for your motorcycle without losing much time. ​The first thing that you should know is about which type of battery you are looking for. Whether you need a wet battery or a dry charge battery or you prefer to buy a conventional or maintenance free battery. All the batteries differ in their life cycles, their method of discharge and their chemical composition. You can choose the type of battery that suits your bike and your needs. ​You must know about the discharge capacity of the battery and that should be matched to the motorbike engine and you must select the battery that is capable of serving your bike. Definitely, a 12-volt battery that is capable of providing 9-10 volts would be a healthy value for starting your bike. ​If you know some of the top brands, you should know which of them offers a reliable battery that would not disappoint you and select the battery from the brand you like or from the one that has the best performance record. ​Make sure to read reviews of the particular kind of battery and the brand you have chosen to buy. This will help you know the maintenance, issues, the life span and all the features people have shared while in use. ​Price can be a concern for some people. If you need a low-cost battery, go for a conventional battery but if you can afford better ones, you may look for a little more expensive options of maintenance free batteries. ​You may also look for the batteries if they are temperature resistant and vibration resistant or not. Most of the quality batteries are designed to stay vibration safe and can resist the temperature highs and lows easily without deviating the discharge process. ​A maintenance free battery is always the best choice for all kinds of bike. You must look into the maintenance issues if you need a quality battery. ​Life of the battery can also be estimated as determined by the manufacturer. 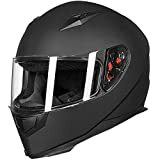 You may choose as per your needs and on the basis of the usage of the bike. ​​Make sure to look into the warranty timeline if it is presented by the manufacturer. Those having a warranty time, make sure you will not lose your money at any cost if the product is not up to your mark. You will not have to worry about the starting issues. As the battery will be giving your bike the quick and efficient start whenever you start it off. You will not be facing any electrolyte issues and repeated battery replacement as a good quality battery always has a long life cycle. There will be no electrolyte spills causing lowered discharge of the battery, hence giving you a reliable power source whenever your bike needs. Make sure your terminals are clean and free of dust and rust. Make sure you check the voltage before installing it. Always try to follow the care manual as provided by the manufacturer. There are many different kinds of features and important aspects that may help in differentiating between the various kinds of batteries and decide on the fact that which of the available batteries would be better for the kind of bike you have. Conventional batteries are commonly used in motorbikes and you need to keep a check on the water level of the battery to keep it going. They discharge faster and uses water as the electrolyte. 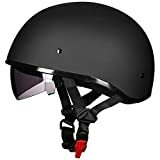 They need maintenance but comes at a very low price that makes it a favorite for most of the bike users due to affordability issues. A very favorable substitute to the conventional batteries is the use of maintenance-free batteries that ensure the low or no maintenance needs and will serve longer than the conventional batteries. They don’t need maintenance, no need to add water, no need to keep a check on it, rather comes in a way that works perfectly for a long time. Gel ﻿B﻿atteries : Gel batteries use the gel as the electrolyte and are spill proof and discharge slowly and are capable of giving more efficient and long lasting performance. They are vibration resistant and can resist temperature highs and lows efficiently and to keep your bike going all the way long. Dry Batteries: Dry batteries have no need to add the electrolyte off and on rather you need to add acid once and it will stay sealed packed for as long as it lives. Sealed Batteries: Sealed batteries come with no maintenance needs and they are sealed to stay spill free and give a long lasting performance as compared to the conventional batteries. These batteries use a stable and temperature resistant composition that makes it better than the conventional batteries in a sense that they have a life of about 2000 cycles and 5 years’ service offering the best of all performance capacity. Though if you are concerned with the price, you may find maintenance free batteries cost more than the conventional batteries. This is a maintenance free dry charge battery where you only have to add up the acid once and there will be no electrolyte spills or further add to the electrolyte. This is a perfect 12-volt battery offering 12 amp per hour. Due to the dry charge function, the battery comes as maintenance free and is sealed and spill proof as there is no liquid left in it when the acid is absorbed. The battery is capable of giving the best performance with no maintenance needs and can hold it up for 3 times longer than the other batteries or the conventional batteries. The required acid is provided along the battery that is added at the start and that is all. You will not have to add water or any acid later one till the battery lasts. 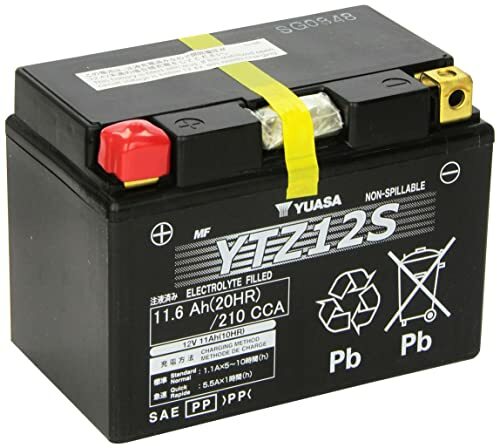 This Yuasa battery is a dry charge battery that comes with the composition suitable to provide a maintenance free service. It is a sealed maintenance free battery that is spill proof where the acid added first would be absorbed completely and you will not need to add more acid or electrolyte no matter how long you use it for as the acid is added by the factory and no need to do anything by the user. It is a 12 volt 11 amp per hour battery offering 210 cold cranking amps supported by glass mat separating walls. It lasts for more than 3 times as compared to the regular or conventional batteries. 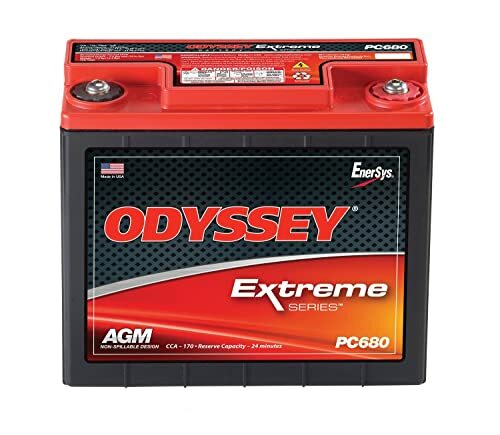 ​Odyssey offers this sealed and spill-proof battery with high-level shock absorption and temperature resistant construction. This one comes with a 2-year replacement warranty whereas the service life of the battery is around 3-10 depending on the usage. Due to the fact, there are no spills and no gaseous discharge and hence its keeps the whole chemical operation well in place with virgin lead plates packed with shock absorptive plates and is extremely temperature resistant. Due to high-end construction, you can expect a longer and better efficient life of the battery as compared to the conventional batteries. ​It is a factory activated dry cell charge 12-volt battery offering 500 cold cranking amps and offer a spill-proof chemical composition that makes it far better than the conventional batteries. There is no need of frequent replacements as it offers longer life as compared to the conventional batteries. It comes activated from the factory and you don’t have to add anything at all. It is spill proof and shock resistant with absorbed glass separating walls. The lead-calcium composition makes it live around 3 times longer than other kinds of batteries. This is a lithium ion phosphate battery. 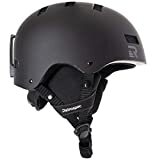 This one is a 12 Volt motorcycle battery that comes with a no liquid construction and the quad terminal offer exact connection to the wires with no issues at all. It is designed to give an accurate fix to all kinds of battery boxes that are there in the motorbikes. It has a 3-year limited warranty and offers 5 times longer life as compare to the conventional and lead acid batteries. 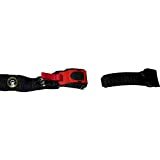 It operates safely within 40 – 140 degree and is capable of giving a vibration resistant performance. Whereas the maximum charge rate is 10 amperes. ​​You will soon learn how to maintain your motorcycles battery and electrical system once you start riding. Like all bikers, Harley owners depend on their machine to get them through a good day of riding. 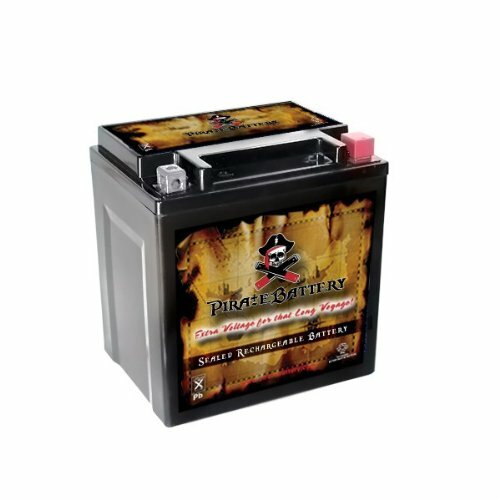 ​As we have discussed in our round-up of the best motorcycle batteries that are available on the market, we can say that the best motorcycle battery should be the one that comes with the most efficient performance, least maintenance needs and without any messy options and offer longer life as compared to other kinds of batteries. ​Our options were the dry charge batteries, the li iron phosphate batteries and the sealed batteries that we have discussed in our best products sections. 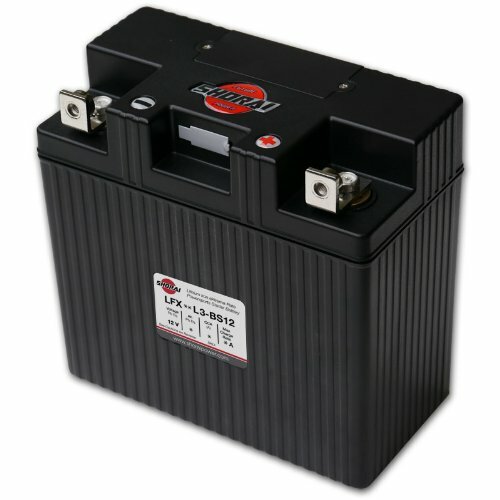 Though all of these 10 batteries offer a particular level of quality and high-quality performance but on the basis of the life cycle and the maintenance free performance we must say that the Battery TenderLithium Iron Phosphate battery should be your first choice if you need a stable, maintenance free, long life battery for your bike. Or else if you want to choose the other dry charge cell batteries for your specific reasons or vehicle requirements, you may try them and you would not be disappointed.